Raise your hand if you love getting lost in your favorite craft store. Now, raise your hand even higher if you love getting a good deal on a craft. Well, you’ll be interested to know you can find craft supplies and good deals in a place you may not have considered… your local dollar store. It’s incredible, right? But I’m going to make you a believer. 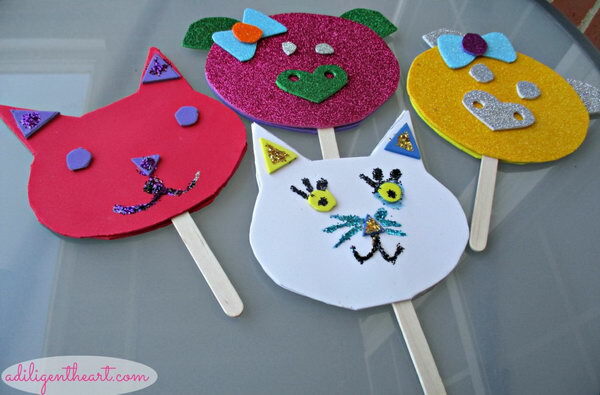 I’ll be introducing you to some of the internet’s best ideas for dollar store crafts. Some are for adults, and some are kid-friendly too. 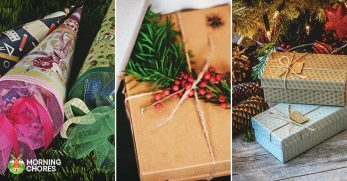 Whether you’re decorating on a budget, creating gifts on a budget, or looking for a craft to keep the kids busy you can find your ideas here and the supplies for a bargain at your dollar store. 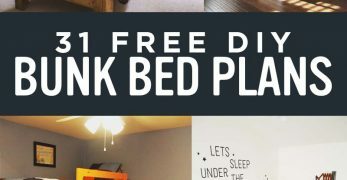 This is not only a fantastic idea, but it’s creative too. 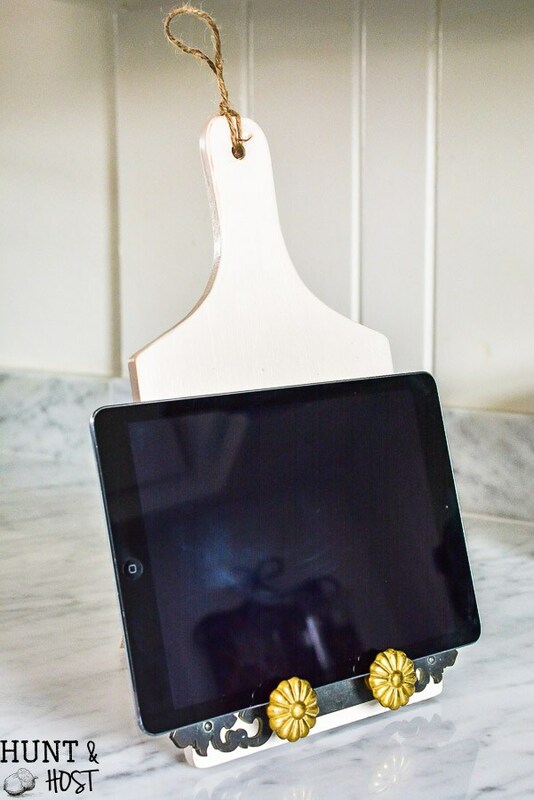 When you’re in the kitchen cooking, and you need to read a recipe on your tablet, it can become complicated if your tablet doesn’t have a stand. Well, why not make your tablet a stand, by using a dollar store cutting board. It not only looks great, but it works well too. 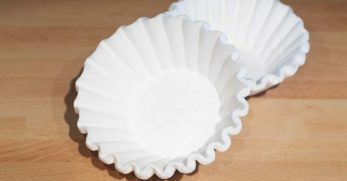 Buying festive or customized dishes can become costly, quickly. Don’t pay for this style of dish. Make it instead. 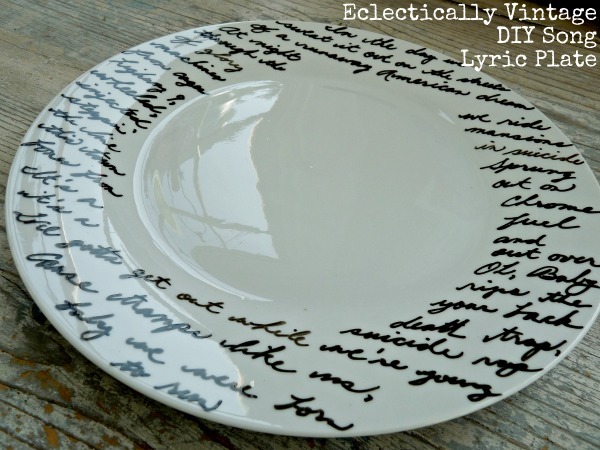 The idea is to use dishes from your local dollar store and write unique song lyrics on them. It takes approximately five minutes and looks cool to boot. 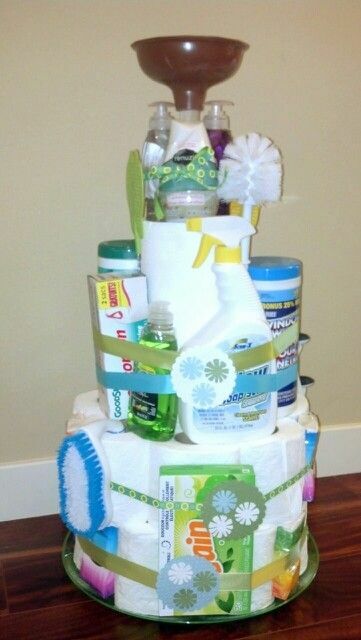 If you’ve been to a baby shower recently, you might have noticed how diaper cakes have become all the rage. Well, this housewarming cake is a play on that. The cake is made from products you can find at your dollar store. 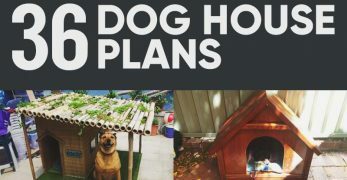 It gives the new homeowner everything they need in a unique way. 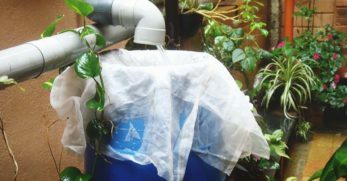 If you enjoy adding greenery to your home without the fuss, you’ll love this idea. They give you a supplies list, and most of the items should be available at most dollar stores. Also, this idea comes with a thorough tutorial filled with handy pictures as well. 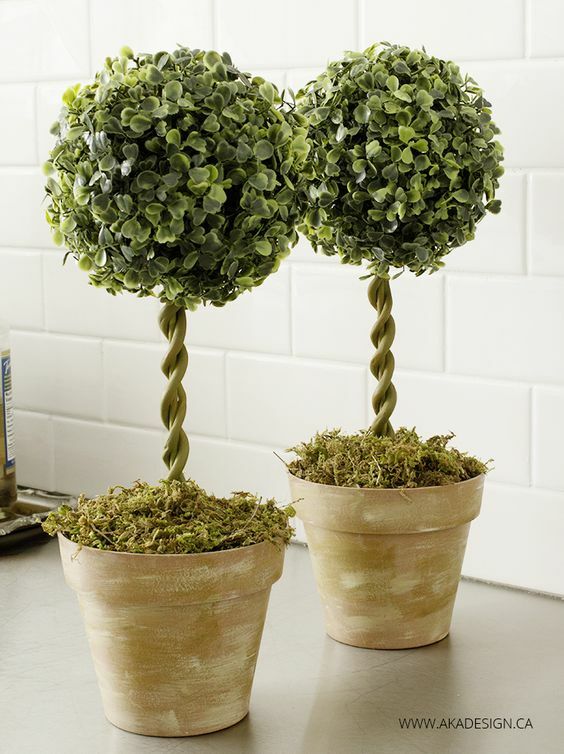 Before you pay an arm and a leg for already assembled topiary trees, check out this tutorial and make them for less. 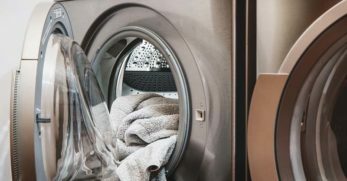 Have you noticed the more worn you want something to look, the more expensive the item becomes? For instance, you want to purchase ripped jeans, be prepared for a higher sticker price. 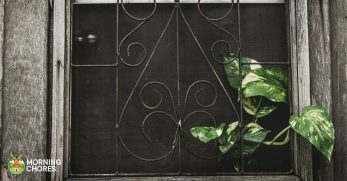 Do you want an aged galvanized planter? Be prepared to pay more. Well, this was the case until this tutorial came out. 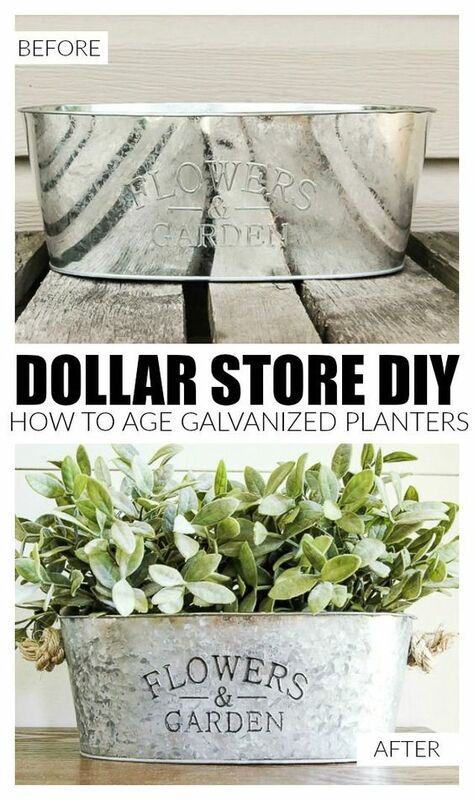 They walk you through the process of aging your galvanized planter yourself by using items found at most dollar stores. 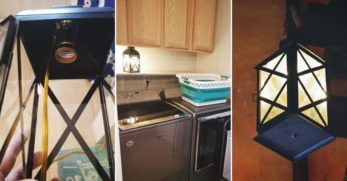 This tutorial is a fun way to make your home look festive for summer but also to save your furniture from nasty rings glasses leave behind. If this sounds like what you’d be interested in, check out the tutorial. 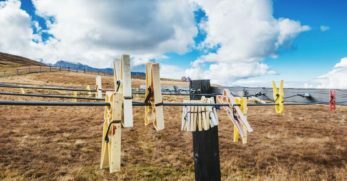 The supplies are readily available at most dollar stores and should make this a financially feasible craft. When a baby is little, you want to savor every moment. They grow up quickly, and it appears you won’t be able to capture every moment you hope to. 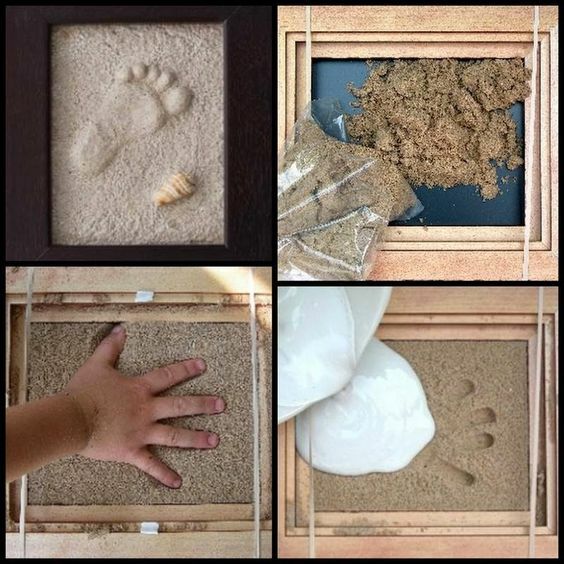 Well, this craft is a neat way to remember how tiny your baby’s hands and feet once were. It’s a simple craft and cost-effective too. This is such a cool craft. 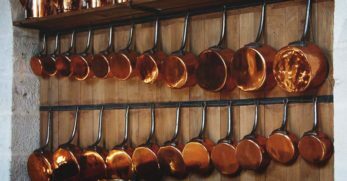 Again, if you like to decorate with items which look aged, you know it can become costly. 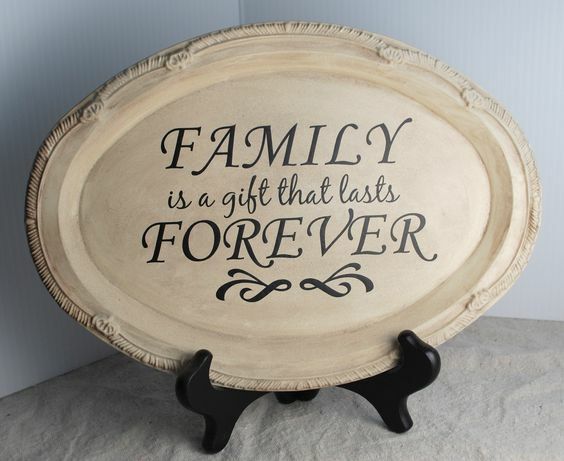 Well, this tutorial shows you how to antique a platter and add any wording you’d like. It’s an inexpensive way to get the look you want. 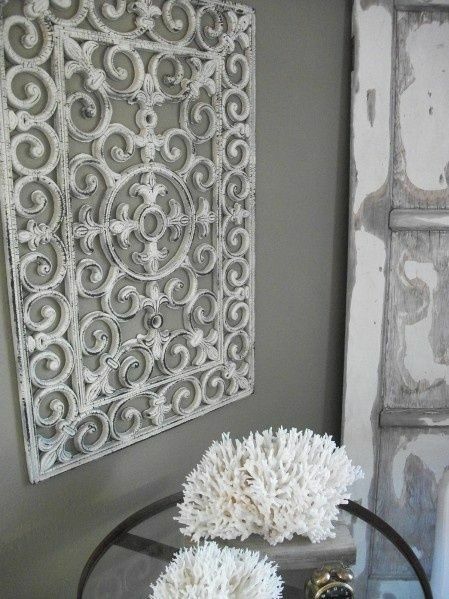 Would you like to add a touch of décor to a bare wall in your home? Finding a large piece of art can get pricey in a hurry. This is why I love this craft. It takes a dollar store rubber welcome mat and paints it. The unique design passes as art when hung up on a wall. It can decorate accordingly and not break the bank. I bought a cake stand when I was 19 years old. I had wanted one forever and finally broke down and paid the price to have one. Though I still use it years later, I’m not sure it was worth the money. 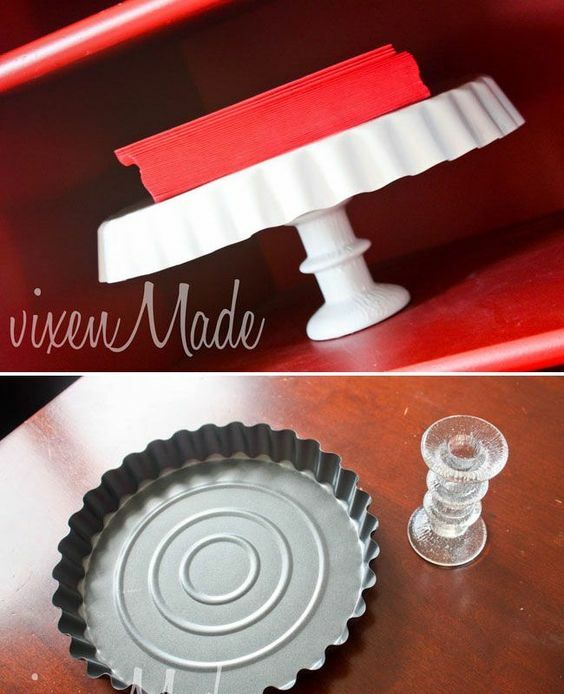 If you want a cake stand but don’t want to pay the price, follow this tutorial to take basic dollar store items and turn them into a functional cake stand. Growing succulents is becoming popular. I can see why. They are unique flowers which require little care and bring a home to life. 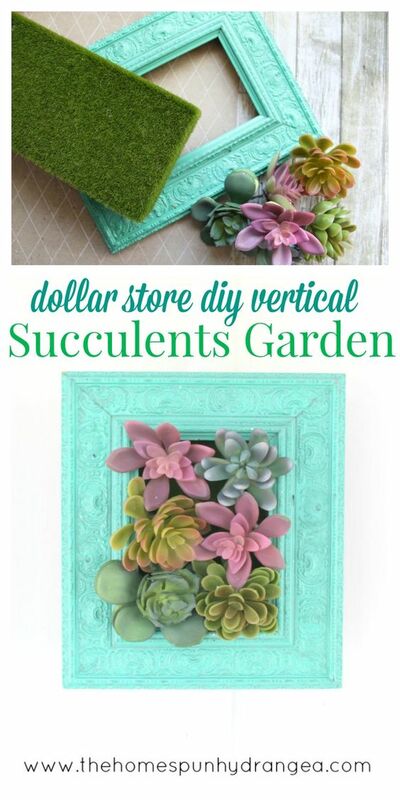 If you’re in search of a way to grow succulents in your home, consider this vertical garden. You can create it with items found at the dollar store, and it’s gorgeous. When I first married, I was trying to figure out how to decorate a home on a budget. I didn’t have many crafting or sewing skills, but thankfully, my mother-in-law did. I wanted pillows for my couches but couldn’t afford them. She made me nice pillows which made our house feel homey. You can do the same thing with this tutorial. It’s affordable and can add a nice touch to your home. 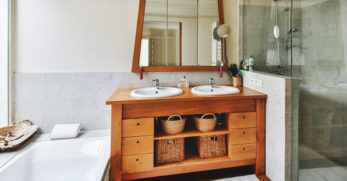 Do you have an old mirror you’d like to keep around, but it appears outdated and doesn’t mesh with the rest of your home? Well, don’t toss it. Check out this tutorial instead and give the mirror new life. You can use gems purchased at the dollar store to decorate the mirror and make it flow better in your home. When you have children, it’s surprising how many pictures of them you take and how many you’d love to display. A problem many parents have is they run out of space. This luminary craft is one more way to creatively display the adorable pictures of your kids or other loved ones. I’m in love with this idea. 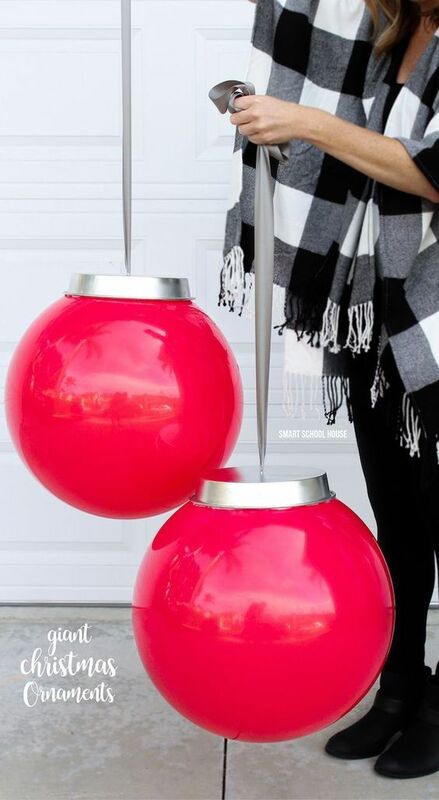 If you have a table sitting outdoors, you need to incorporate this craft idea to have a lamp on the table. However, instead of the lightbulb, you place a solar light from your dollar store inside the lamp. 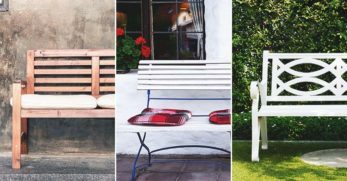 It’s a working light at night and adds a ton of beauty to your outdoor sitting area. I didn’t know until I became a homeschooler how expensive some items could be. For instance, purchasing a quality dry erase board can get costly. Well, you can now make your own. Follow this tutorial and see how to turn a dollar store picture frame into a functional and decorative dry erase board. When hosting a party, figuring out how to serve the food in a fun way can be a challenge. This tutorial has you covered on how to serve chips and dip without breaking the bank. 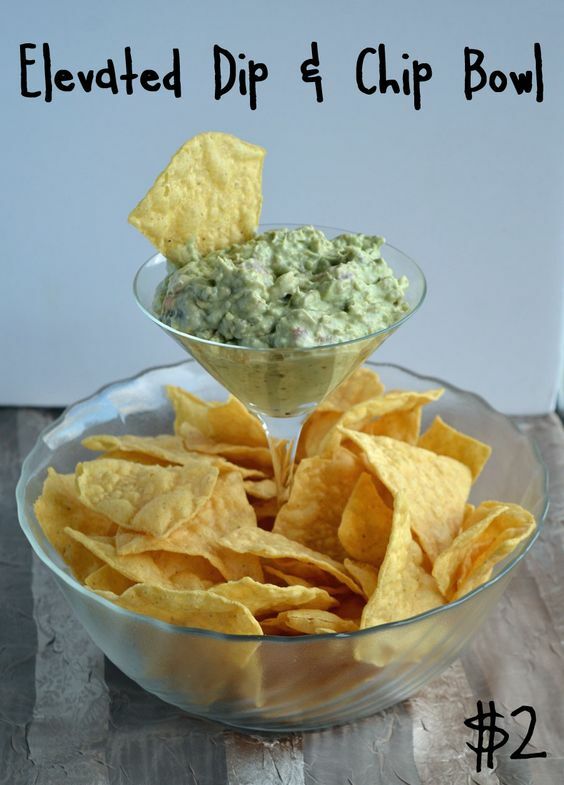 You’ll need a bowl for the chips and a martini glass for the dip. Place the glass inside the bowl, and you have a fun and inexpensive way to present basic food. 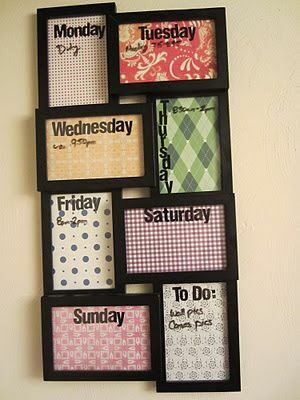 This is another fun yet inexpensive way to organize your life. You’ll need cheap frames which can be purchased at your local dollar store. From there, you’ll follow the tutorial on how to apply the days of the week and decorative touches. The result, is a unique calendar which will help keep you organized. If you have a garage you’d like to decorate at Christmas, consider using these giant ornaments to add a little Christmas flare. It’s a simple tutorial which requires a giant red ball. 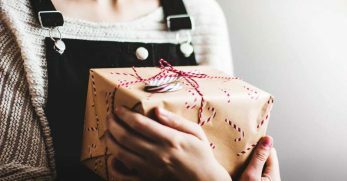 You’ll place a cake pan, which can be purchased from the dollar store, on the top of the ball and tie it with a large ribbon. You can find sugar shakers or parmesan cheese shakers at your dollar store or thrift store. 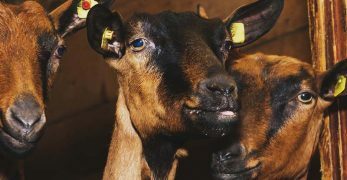 They can usually be purchased for very little money. Once you have them, follow the tutorial on how to apply paint and dress the shakers up to where they become unique but functional flower vases. 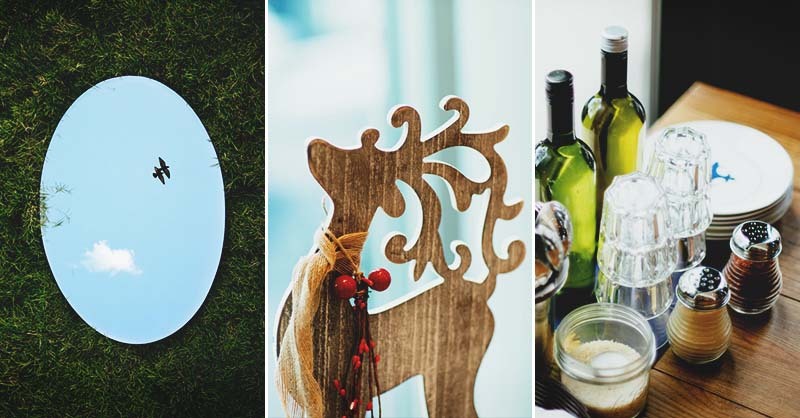 Are you looking for a unique way to create Christmas décor on a tight budget? 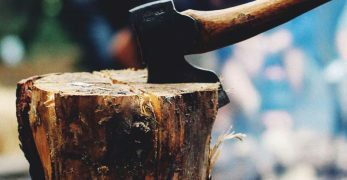 This tutorial could be a great deal of help to you. You use fish bowls found at your dollar store and stack them. 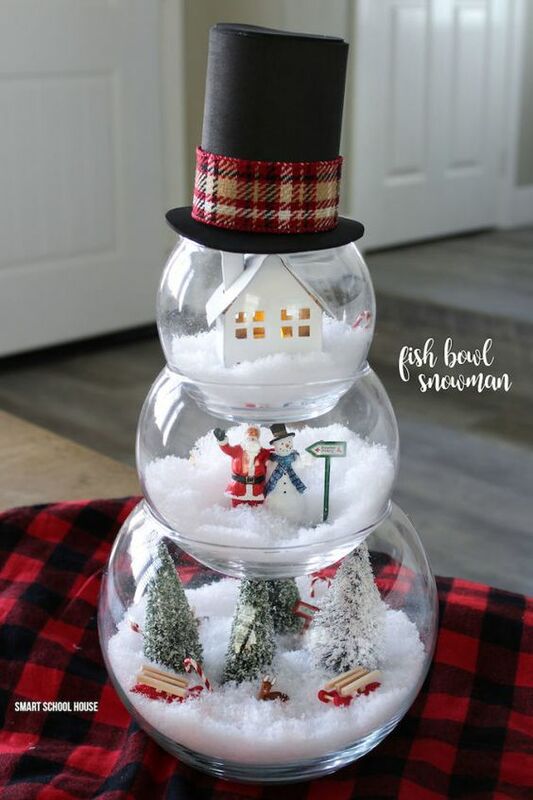 They’re filled with snow and other festive items to make a glass snowman. When I first purchased a home, thoughts of how cute it would be decorated danced in my head. These thoughts came to a quick halt when I realized how expensive everything could be. Well, baskets were no exception to the rule. Which is why I love this tutorial. It takes a dollar store clothes basket and transforms it into a beautiful storage basket which would be perfect for practically any home. 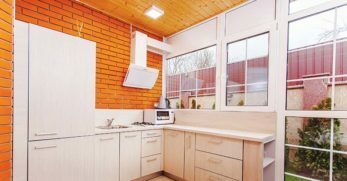 If you’re into the industrial look for your home, you’ll love this idea. 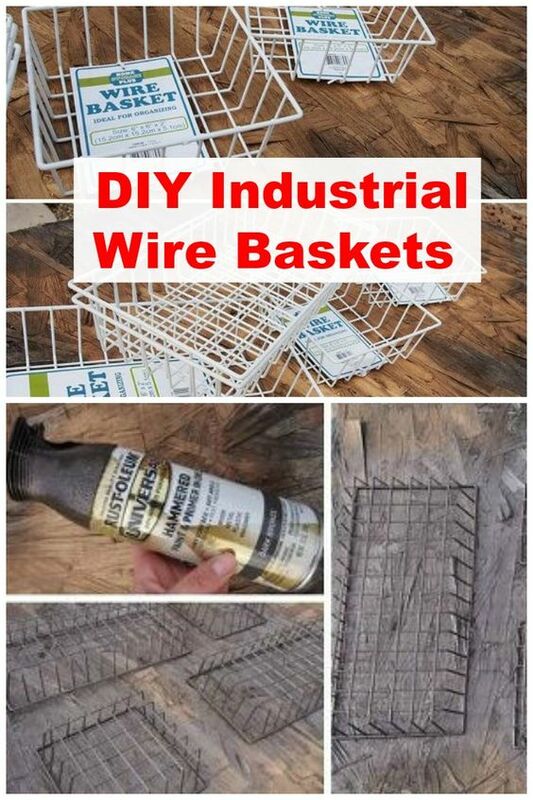 The creator purchased inexpensive wire baskets from the local dollar store. 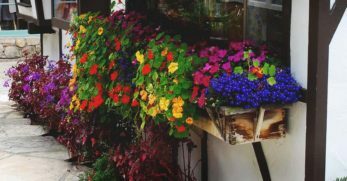 When she brought them home, she spraypainted the baskets to make them look more industrial and to fit into her home décor. 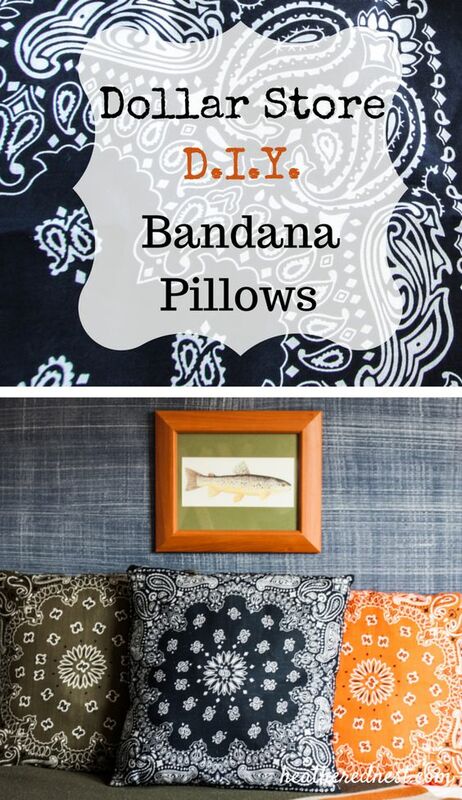 It’s an easy, inexpensive way to decorate your home and functional too. 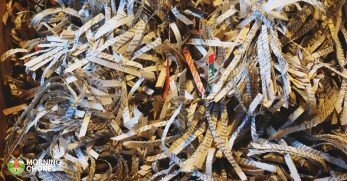 We all could use a little help staying more organized in our daily lives, I suppose. But who says we have to spend a fortune doing it? Well, thanks to this tutorial, you don’t. 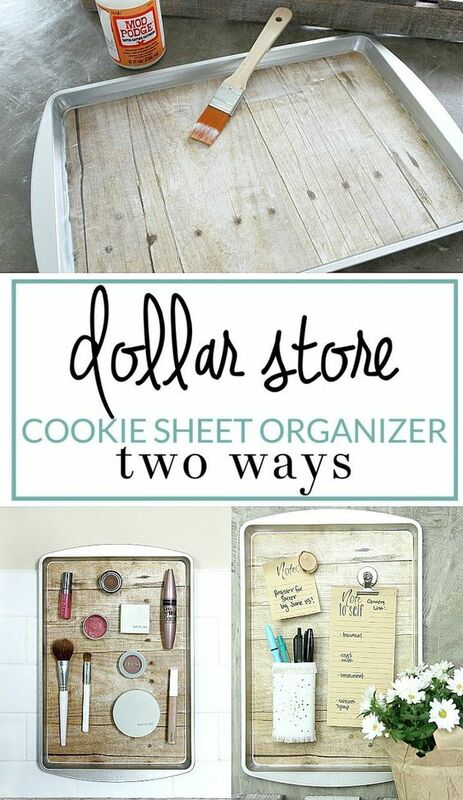 She walks you through how to turn two dollar store cookie sheets into functional and beautiful magnetic organizers. Are you looking for a fun way to awaken your children’s creative minds and keep them busy too? This could be a wonderful idea for both. This tutorial walks you through the process of making foam sheet puppets. It’s a fun way for the kids to play and be creative too. 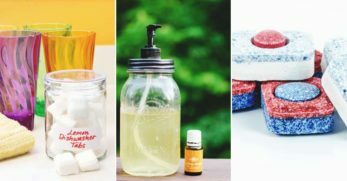 Did you know you can make a pretty bathmat for a fraction of the cost of most bathmats by following a simple tutorial and purchasing the supplies at your dollar store? Well, great news! You can. 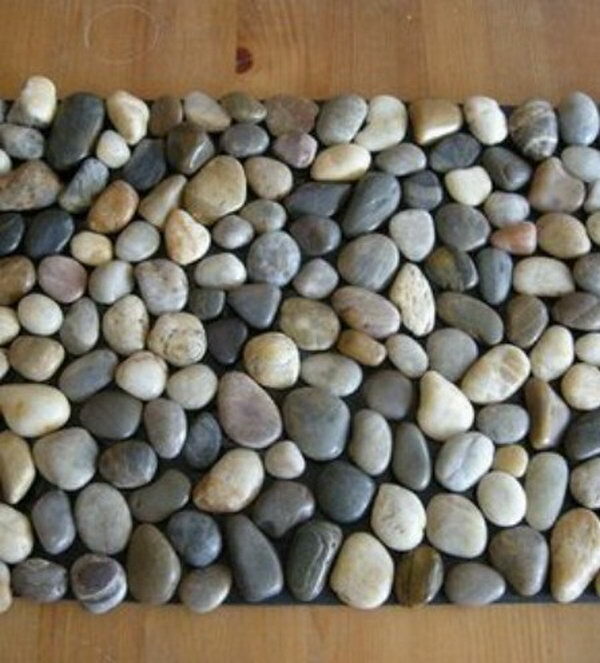 You can have a rocked bathmat in only a few simple steps. It’s a unique décor option and easy on the budget too. 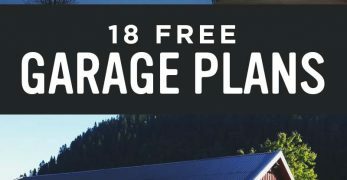 Well, you now have 26 different options to choose from when heading to your dollar store. 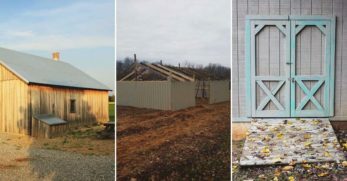 You can be creative without spending a fortune. 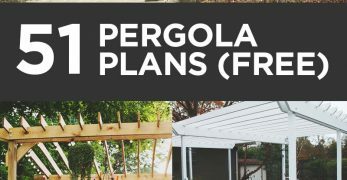 Hopefully, this will give you a few design options to incorporate into your home or craft plans for your kids. Crafting on a budget is possible with these dollar store ideas.